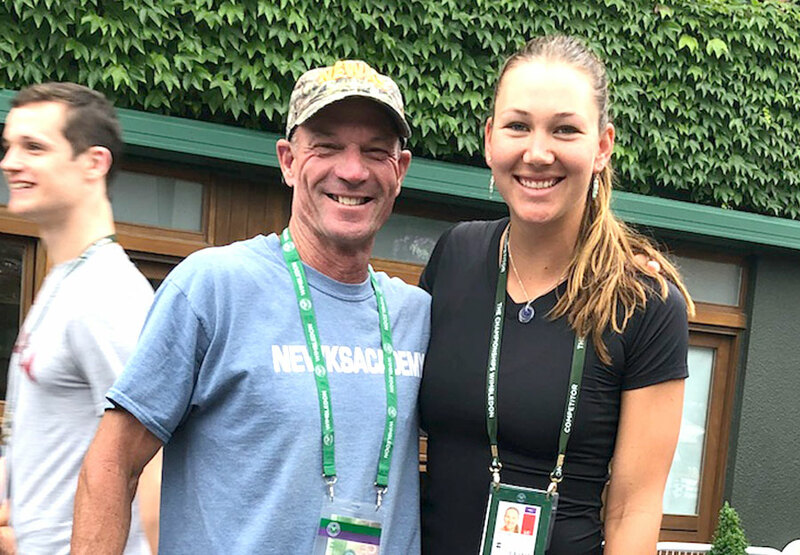 Nicole Melichar, Newks Academy Alumni, wins the Mixed Doubles Championship and takes second in Women’s Doubles at Wimbledon 2018! Nicole attended Newks Tennis Academy for three years. After graduation she immediately went on the Pro Tour instead of attending university. Her goal had always been to become a professional tennis player. I had the privilege of working with her privately twice a week when she was a junior. She was honestly like work with a pro from the beginning. She always arrived early and prepared to put in the work. Nicole was always ready to dig into weaknesses as well as finish the sessions working on her strengths. She was an absolute joy to coach! I remember having scheduled a 6 a.m. session with Nicole when the temperature turned out to be 11 degrees. She was 13 and I wasn’t sure she would show up. When I arrived to turn on the courts lights, sure enough, she was there under 6-7 layers of clothing, jogging and ready to work. Her first few years on the tour were a struggle. We would talk from time to time and her spirit was always 100% positive. She would say, “I am improving with every tournament.” Year after year her results were better and better. Just recently she won Wimbledon Mixed Doubles and was a finalist in the Women’s Doubles! I am so proud of Nicole and everything she has accomplished. She is the definition of “Team-Family”! We are wishing all of our Newkie Alumni including Nicole, Michael Venus, Ryan Harrison, Christian Harrison and Lucas Kubot, the very best as they prepare for the U.S. Open!